When you work with an executive search firm in Milwaukee to find a new C-suite position, you’re getting an inside track to companies you may never have know were looking for a new executive. It can be a huge advantage for you, and it’s important to be prepared to make the most of that opportunity. By the time most people earn an executive position, they’ve been out of the job search loop for some time, and may be a bit rusty on their interview skills – at least from the other side of the desk. There’s also a fundamental shift in attitude when you transition from a management to an executive level position, and often that shift causes excellent executives to blow interviews for positions they would actually be an excellent match for. Taking Over Interviews – As an executive, you’re used to standing shoulder to shoulder with the top-level people at your company. When you interview as an executive, though, you’re walking a fine line: you need to demonstrate your confidence and ability as an executive, but you also have to remember to step back from your usual stance because you’re not speaking to a colleague when you interview, you’re speaking to someone who, at least for the interview, is a superior. Let your interviewers lead the discussion, and don’t try to pull them off course while they’re trying to learn about what you can offer them. Unicorn Syndrome – The more accomplished and higher executive level a candidate is, the more likely they are to assume that their accomplishments speak for themselves. Remember that you’re there to show them what you can do for their company and why they will benefit from hiring you. Be confident and proud of what you’ve accomplished in your career, but never make the mistake of assuming you’re so special that potential employers will simply look over your resume, talk to your references, and fall in love. It’s critical to understand that no matter how impressive your experience and achievements may be, no one is above the need to sell him or herself in an interview. Sell First, Buy Afterward – The more responsible your position, the more questions you’re going to want to ask in an interview. And while it’s true that in any job interview, the candidate is interviewing the company while the company interviews them, you have to approach interviewing the company with some finesse. 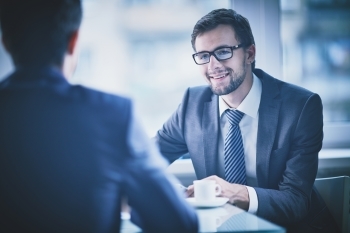 If you take over the interview, they may find you overbearing; if you ask too few questions, they may develop an impression that you’re lukewarm on their company or position. Follow the lead of your interviewers, and use their questions as opportunities to sell yourself as the right executive for the job. After you’ve given them a reason to want you and you can see you’ve gained their interest, that’s the time to start interviewing them and giving them a chance to sell you on their culture, growth plans, and opportunities. The Lawler Group is an executive search firm in Milwaukee that recruits and places executives in Wisconsin and nation-wide. Our executive recruiters have well-established relationships with top companies in a wide variety of industries and sectors. 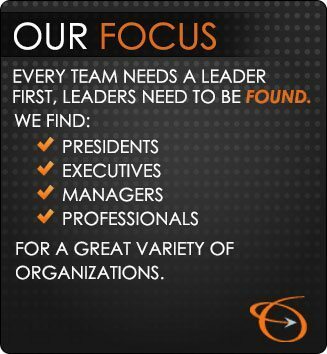 Contact us to learn more about the advantages you’ll gain by working with the The Lawler Group for your search.